Circle G Ranch is the perfect venue for your wedding, corporate retreat, family reunion, or relaxing getaway! Located in the beautiful foothills of Tennessee, Circle G Ranch is a full service 100-acre equestrian facility. We offer arena rentals, hourly and full day, as well as trails, lessons, boarding, training and much more. 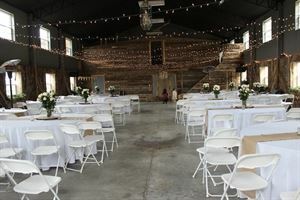 The covered arena is 200 x100 with an observation area and the outdoor arena is 300 x 200, perfect for all types of events. We also have one, two bedroom suites and a three bedroom house, as well as ten trailer hook-ups with electric and water. All of our suites come with basic cable and are fully furnished with everything you need and include full access to our trails, obstacle course and covered and open arenas. *We allow outside catering! Call us today to find out more! The package includes: • Indoor and Outdoor space • Tables and chairs • Set-up for the event Please visit our website for more details.